Composite Service is a service that will call different Core Services to perform the transform, aggregate data from that Core Service. In this first phase of our Question Management application, there will be 2 Composite Services, one for gathering information about questions including: category, question content and choices of questions; and another one is for options. 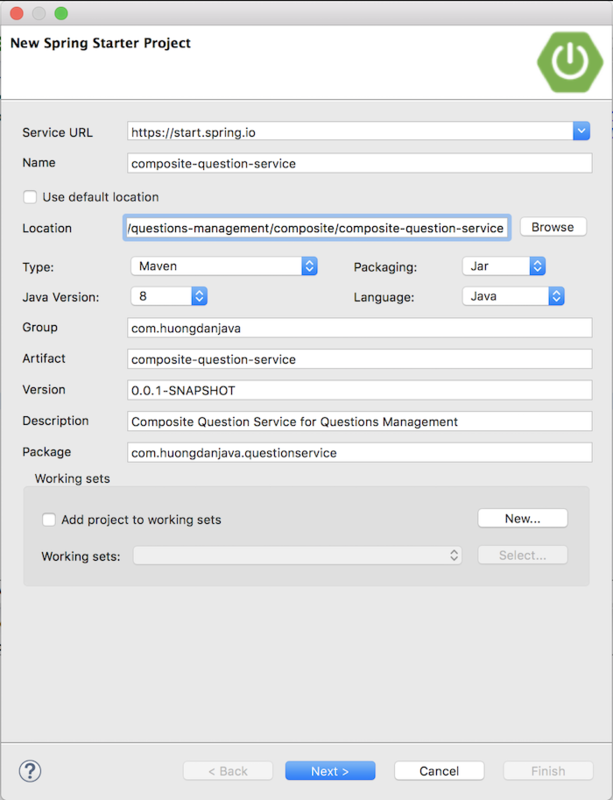 For questions, this service is called Composite Question Service. 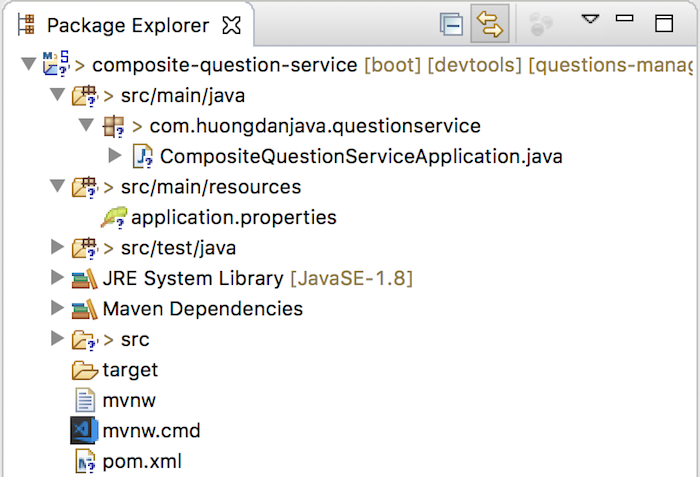 In this tutorial, I will guide you all how to create Spring Boot project for Composite Question Service. 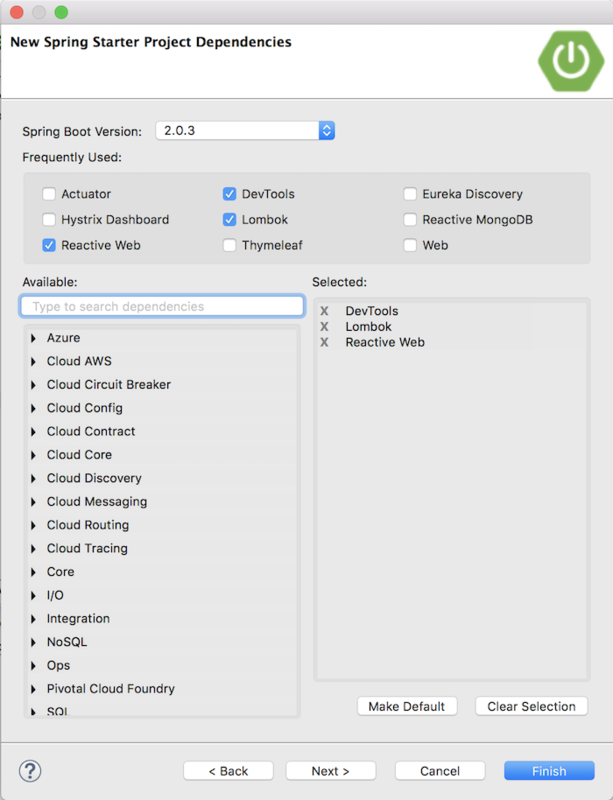 The steps to create a Spring Boot project, I have introduced for you. Here, I only mention some important points in the project creation process for Composite Question Service only. As you can see in the project questions-management folder, I added a composite folder inside this folder to contain all the projects related to the Composite Service. Next, I’ll revise this project a little bit so that it uses the parent project of the project questions-management.